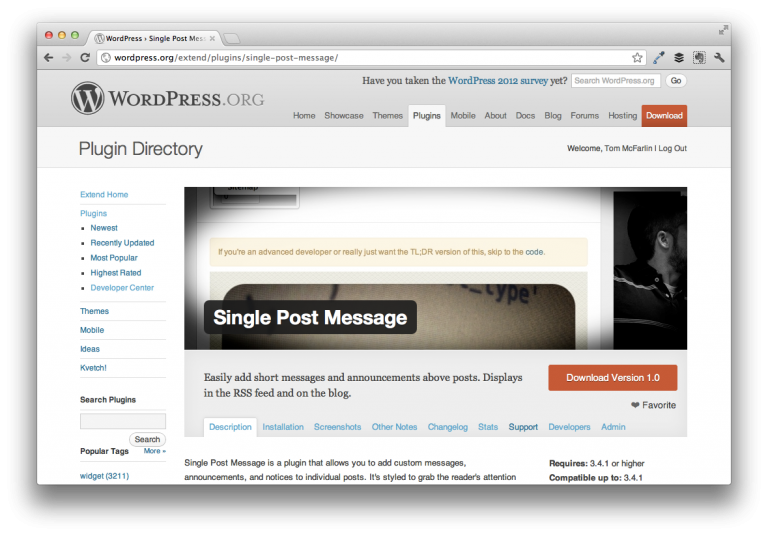 Single Post Message For WordPress is a plugin for easily adding short messages in the top of your posts and displaying them in both the browser and in RSS feeds. I started working on this plugin a couple of weeks ago and have been dogfooding it throughout development – here’s an example of the plugin in action. Generally speaking, the plugin came out of a need for me to place short notes above post content and I wanted it to look the same in both the browser as well as RSS feeds. 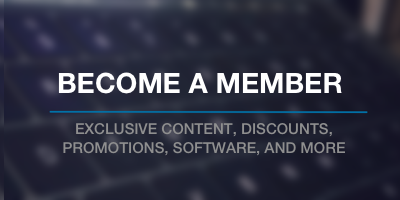 Over time, I’d love to include additional features specifically for bloggers who find this useful, but this is a strong 1.0: it includes only the base functionality and nothing more. You can install it from the plugin’s page of your WordPress dashboard or get more information, view screenshots, and download the plugin from the official Single Post Message page. For those that are interested, I also shared a few notes on my development process for this plugin. Love this plugin! A simple solution, simply coded. Great job! 2. Is there a way to have this show up at the bottom of posts? I would love to use it for more of a “p.s.” for my readers. Edit the plugin.css instead and you should be good to go. In a future version, I’m thinking of including a custom.css file specifically for this use case. hmm? I can’t seem to find the plugin.css file? Am I able to access this through the WP dashboard? And… any guidance on moving this to the bottom of the post? You’d have to access the plugin.css file via FTP. I can help provide some guidance for moving the notification to the bottom of the post, but it’ll have to be by email and it will actually break with any future updates to the plugin as it’ll overwrite your changes. Shoot me a note if you’re still interested! This is so close to something I’ve wanted for a very long time, even pre-dating my switch to WordPress from MT, many years ago now. Any way for the Message to have its own date/time stamp, and to be able to add more than one Message to a post? I’ve been trying for years to find a plugin that would let me update stories I post and have those updates be their own objects with their own timestamps, rather than manually adding updates to the bottom of the post and telling readers to trust me on how I timestamp them. Unfortunately, this particular feature isn’t on the roadmap for this plugin. I do offer custom development so if you’re interesting me in creating a custom version of this plugin for you, let me know! I’m thinking along the lines of a flashing button or a way to highlight the “Photos” button on the home page to draw their attention.